Fall, originally uploaded by pamhule. 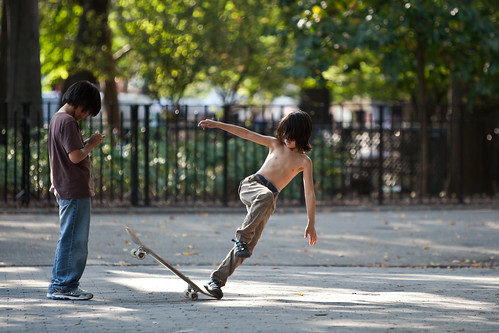 Children Play in Tompkins Square Park in New York City on September 19, 2010. It was a beautiful day in New York yesterday. In fact, almost to bright for taking for photos. Luckily the trees in this shot made the lighting more tolerable and I was quite happy with the result. I should add that the fall was not as bad as it might appear.